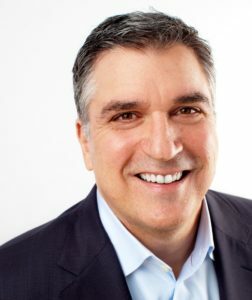 Joe Caserta is an entrepreneur, technologist and founding President of Caserta Concepts (now Caserta). He is one of the most respected data technologists and thought-leaders in the industry today. His work was first publicized in 2003 when his innovative approach to Clickstream analytics was featured in Intelligent Enterprise magazine, which became the standard for analyzing web data. In 2004 Joe co-authored The Data Warehouse ETL Toolkit, an industry bestseller that has become the de facto standard for preparing data for analytics. He is currently an established authority on enterprise data analytics and his relentless creative thinking allows him to continually innovate and invent new ways to stream and analyze data. In 2009 Joe had the vision to align Caserta to big data methods and technologies, and it has since remained at the forefront of the “big data revolution,” devising some of the most unique and advanced analytics environments in use today. He is an internationally recognized public speaker on data analytics and entrepreneurial leadership. When not working, Joe can be found riding his motorcycle, playing bass, or scuba diving a coral reef.